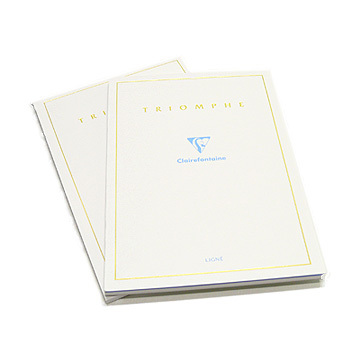 From This Day Forward: Wedding Guest Book is part of Compendium’s Live Inspired collection which is meant to inspire, motivate and celebrate the world we love and live in. The inspirational quotations contained in this wedding guest book are sure be part of what will make this book a cherished memory of a couple’s special day. Instead of just being a registry book for wedding guest names and addresses, the layout of the From This Day Forward wedding guest book is meant to inspire guests to share meaningful advice on how to have a happy life together. As friends and family write on the lined white pages in this book they will read an inspirational quotation on the facing page. The inspirational pages are a understated light-taupe color and are adorned with elegant white botanical and floral designs. 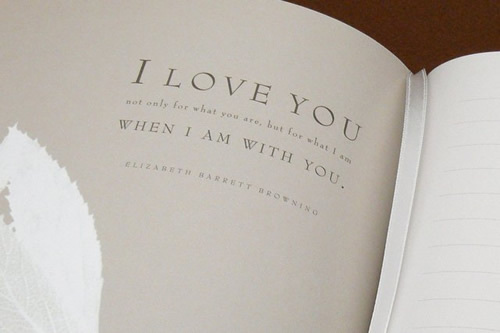 Some of my favorite quotes from this book are “It’s not where you go or what you do in life, it’s who you have beside you” – unknown, and “I love you not only for what you are, but for what I am when I am with you” – Elizabeth Barrett Browning. 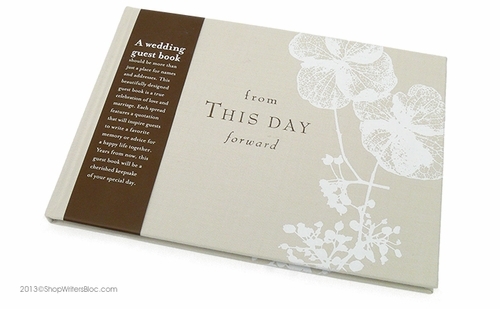 From This Day Forward is hard bound and is covered in a neutral light-taupe cloth with white and dark brown foil stamping. There is a matching ribbon book marker to assist in finding the right page. There are 80 pages – half are lined for guests to write on and the other half have quotations. Each wide-ruled page has 14 lines. My favorite fountain pen to match this guest book would have to be the taupe colored Pelikan Classic M205. 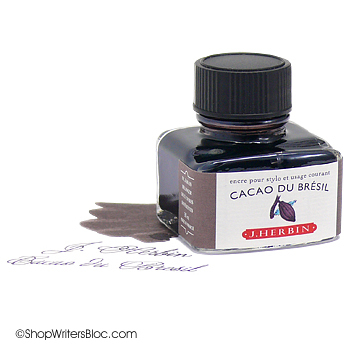 My first choice for ink would be a dark taupe brown color of ink such as J. Herbin’s Cacao du Bresil. If you would rather use a gel pen, then I would recommend the classy silver tone Pentel EnerGel Alloy RT Gel Pen that comes with a black ink cartridge. Your left-handed guests will not smear the EnerGel ink! Are you planning on getting married this year? Congratulations and best wishes from all of us here at Writer’s Bloc! Taupe is a neutral color that is frequently used in the world of fashion, interior design, graphic design and elsewhere. According to Wikipedia the word “taupe” comes from the Latin name for the European mole and was originally used to describe the average color of the actual animal. Today, the word taupe is used to refer to varying shades ranging from grayish-brown, tan, rose taupe and more. It is also the most popular color for leather sofas! 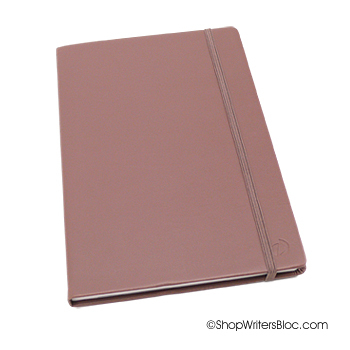 The color taupe also appears in the world of notebooks, ink and fountain pens. In 2012 Pelikan created a special edition M205 fountain pen in the color taupe that will only be available for a limited period of time. 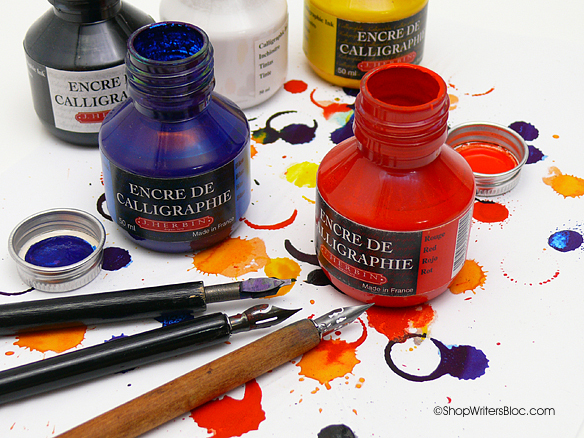 This sophisticated color subtly stands out of the crowd of traditional black fountain pens. It’s definitely on my want list! 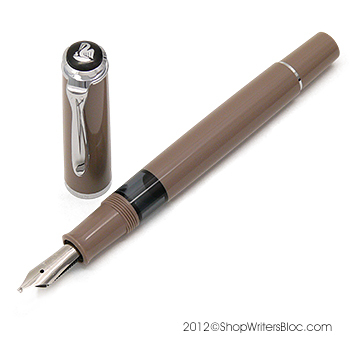 For a matching ink color, I would fill my Pelikan M205 fountain pen with J. Herbin’s Cacao du Bresil fountain pen ink which I would call a dark brown taupe color. 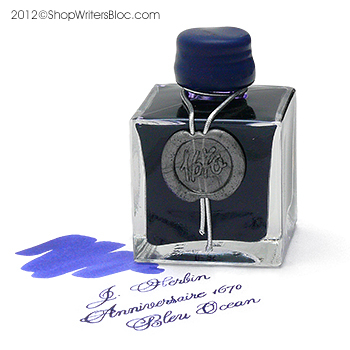 For a contrasting ink color, I would choose Tanzanite from Pelikan’s Edelstein Ink collection. 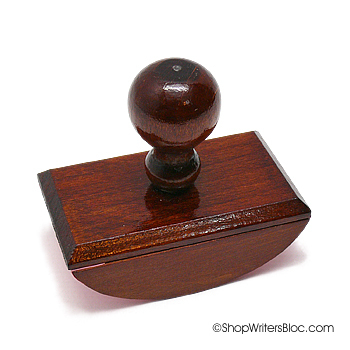 This blue-black ink would be a nice complement to the classy taupe body of the fountain pen. 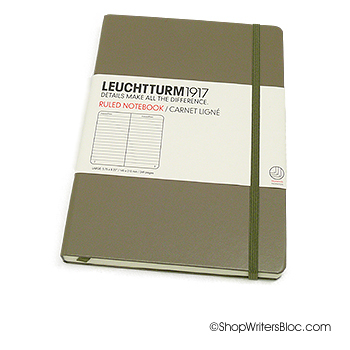 Leuchtturm 1917 created one of their thoughtfully designed lined journals with numbered pages with a taupe cover. The soft ivory color of the paper in this journal really makes a brown shade of ink pop on the page. 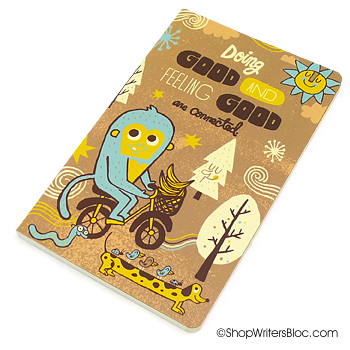 Even hipsters like the color taupe as evidenced in this funky retro design “Doing Good and Feeling Good” Write Now journal from Live Inspired. If you prefer a journal with bright white paper, there are a limited number of taupe Quo Vadis Habana Journals available while they last. The Clairefontaine paper in the Habana journal works great with fountain pens. 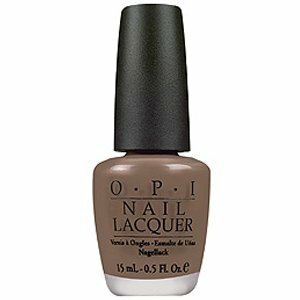 To top it all off, I would paint my nails with Opi “Over the Taupe” nail polish. Yeah, that’s right, even my fingers would match my fountain pen, ink and journal. Even my cat Rori has a taupe chin and taupe spots! 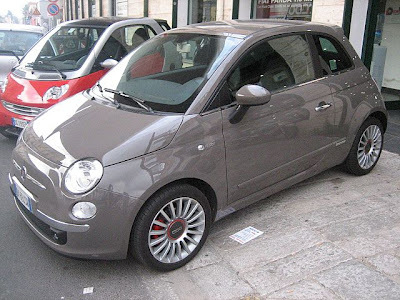 I’m afraid that once I buy the Pelikan M205 in taupe I will also need to get a matching Fiat 500 in my favorite color they call “punk grey”. Think of how good I will look driving this car! Do you have any favorite products or designs in the classic color of Taupe? 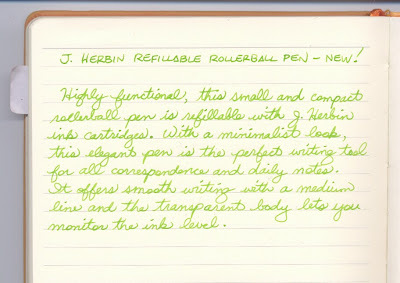 The J. Herbin refillable rollerball pen is a welcome addition to Exaclair’s new products for 2012. The feature that distinguishes this rollerball pen from most other rollerball pens is that J. Herbin’s pen can be filled with colorful fountain pen ink! 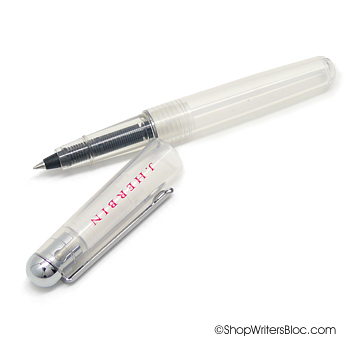 With its transparent body and simple design, the J. Herbin refillable rollerball has a modern minimalist appearance. It is accented with a chrome clip and trim and has “J. Herbin” printed in red on the snap-on cap. The pen has a “soft touch” feel to it – kind of similar to the “soft touch” feel of the R by Rhodia notebook covers. 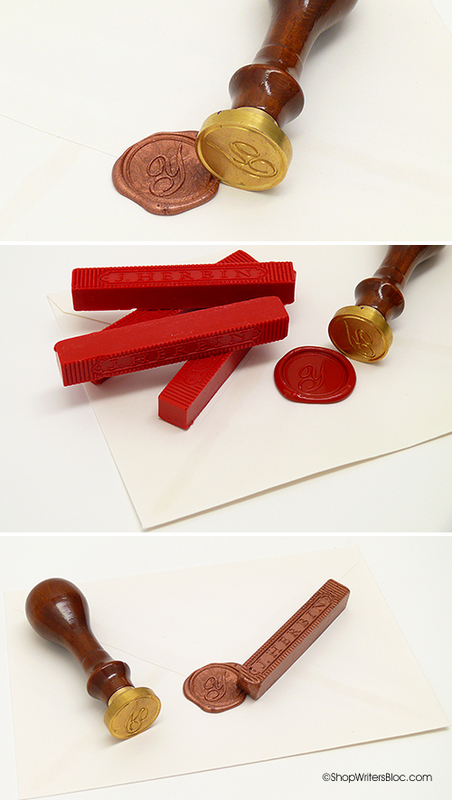 No doubt this helps to keep the cap securely posted while you are writing. The clear barrel comes in handy to keep track of how much ink is left in your pen. 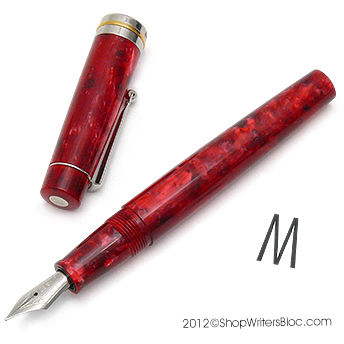 Without its cap on this pen is a very compact 3.88”! 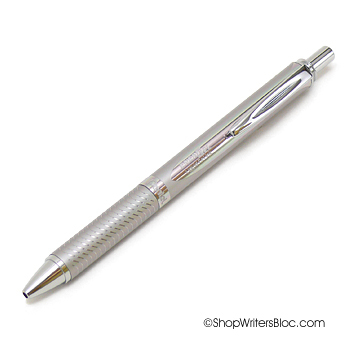 It has been cleverly designed to be 5.5” when posted, a comfortable length for writing. With it’s cap on it’s about 4.75” in length which is a good size for carrying in a purse or pocket. 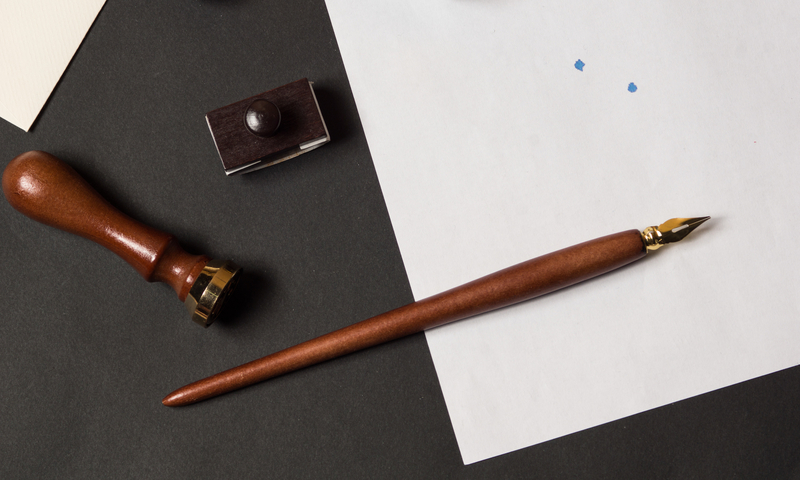 The J. Herbin rollerball writes in a medium line and is refillable with short international ink cartridges. J. Herbin ink cartridges are a great choice since they are available in 20 different colors! Most ink converters will be too long to fit inside this pen, but at only 2.25” long the Monteverde Mini Converter seems as if it could be adjusted to fit. I haven’t tried it personally, so if anyone gets an opportunity to check it out let us know. There are small holes on the end of the barrel so this pen is not suitable for conversion into eye-dropper fill. We’re having a great time using the J. Herbin refillable rollerball pen! 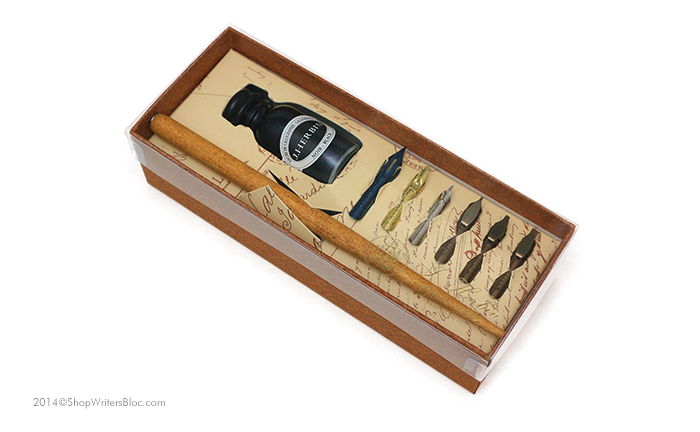 Do you like the idea of using fountain pen ink in a rollerball pen? What refillable rollerball pens do you like to use?